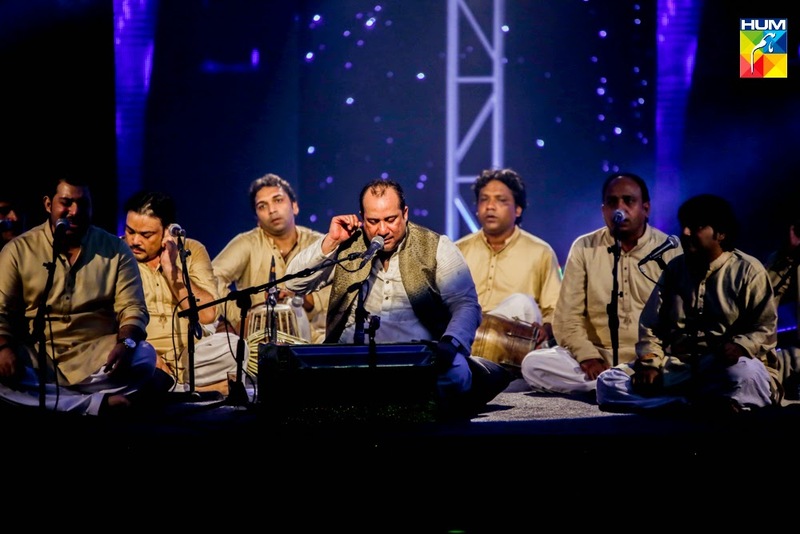 HUM Network organized an enthralling performance entitled ‘Q Mobile Presents Tere Mast Mast Do Nain, Rahat Fateh Ali Live in Concert’ here at Falleti’s Hotel. The two-hour long performance was enjoyed by young and old alike comprising artistes, designers, people from the corporate world and the elite of the city. The ambience of the event was impressive, with the Red Carpet area consisting of white lounges and flower arrangements and the stage consisting of panels with moving fireworks-like images propped in front of a black backdrop with stars. 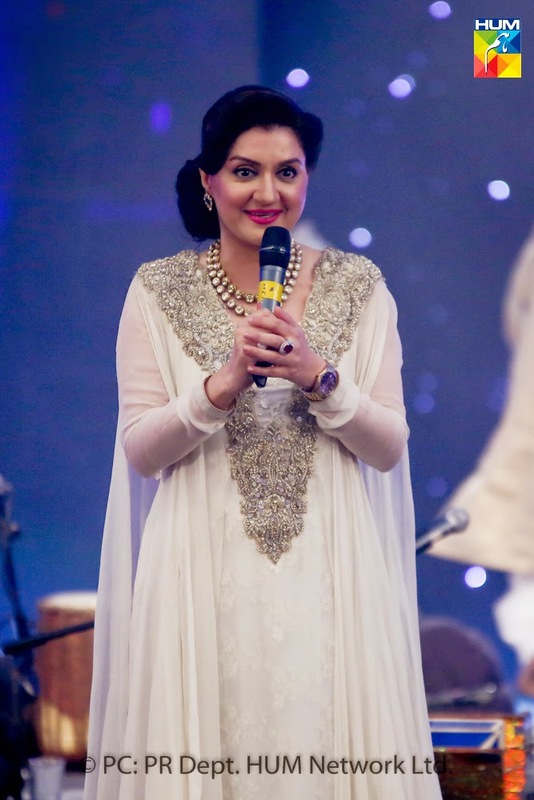 Ayesha Sana hosted the event, and after welcoming the guests and introducing in absentia Ustaad Rahat Fateh Ali Khan, first welcomed on stage his team of musicians, who played an instrumental piece of ‘Tere mast mast do nain’. Then, amidst a standing ovation the maestro arrived on stage and immediately broke into a medley of ‘Mast Qalander’ and ‘Woh lal meri’. This was followed by ‘Allah hoo, ‘Aas paas hai Khuda’ and ‘Suna hai teri ankyon say’. Full of unbridled energy he sang non-stop, following this popular number with ‘Kaisa yeh Ishq hai” and ‘Tum jo aai zindagi mein’. Maintaining his tempo, he then belted out ‘Tumhay dillagi bhool jani paregi’ followed by ‘Mihabatki rah’ and ‘Dilbda wasta’. He then sang the new song from his latest video ‘Zaroori tha’ which was appreciated by the audience. After rendering ‘Dil to bacha hai’ and the ever popular ‘O rey pia’, he sang to everyone’s delight ‘Yeh jo halka halka suroor hai’, followed by ‘Zara abaad ray’ and ‘Teray mast mast do nain’. Before the rendition of his swan song, ‘Mast Qalander’ he had the audience singing along with him the romantic number from the Bollywood flick ‘Teri meri, meri teri prem kahani hai’. Among the celebrities present were Samina and Usman Peerzada, Juggan Kazim with her husband, Junaid and his wife, Vinny, HSY, QYT, Umera Ahmed, Maria Wasti, and many more.